This is a beautiful and inspiring story. Perhaps you have heard it used in sermons or motivational speeches. If you are like me, it has probably given you strength and comfort when you have felt burned out from volunteering or helping others. This story reminds us that every compassionate action we take has meaning and purpose in our world, that everything we do matters to someone. I love it! And I also realize this story is an example of what we talked about this past Sunday morning. (If you missed Sunday, catch up by listening to Mission: What if we are just fixing fish?) On Sunday I asked you to consider how mission and ministry usually begins and end with fixing fish (or saving starfish!). In charitable endeavors, folks save a single starfish from certain death by throwing them back into an ocean that will simple wash them back onto the shore again…and again…and again. When does charity begin to examine the ocean? Why are the starfish washing up on the shore by the thousands? Is something out of whack in the ocean causing these starfish to wash up? 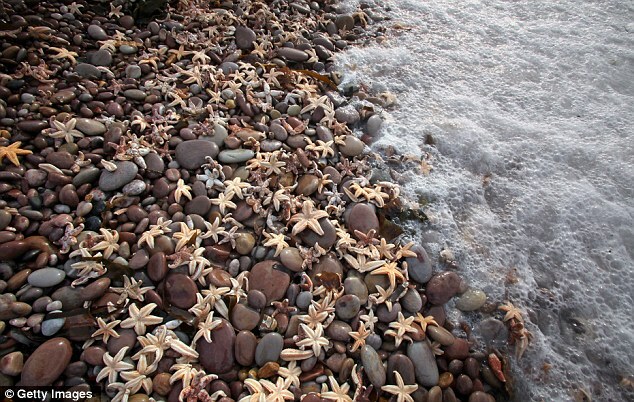 What would it take to stop these starfish from washing up on the shore to begin with? Why don’t we ask these kinds of questions? Are we content to feel good about our efforts to save a few starfish along our morning walk on the beach? What if we are just fixing fish? And what if our fish fixing is more about our own sense of doing good in the world than it is about the fish who are washing up dead on the shore by the thousands every day? What if there are more starfish washing up on the shore every day than we can ever hope to throw back into the water in a lifetime? There’s more to mission, compassion, charity and making a difference than throwing starfish back in the ocean! You see, the Starfish story is limited in its perspective. It assumes that making a difference means throwing the starfish back into the ocean. It never examines the ocean. It never considers why the starfish ended up on the shore. The story does not look at the full picture. The truth is that we will never solve the problem of starfish on the shore by throwing starfish back into the ocean. And the same is true for most every major social problem in our world today…homelessness, drug abuse, violence, crime, mass shootings, and the list could go on and on. We must stop trying to tackle the issues of our day with such limited perspectives. We must stop fighting over solutions assuming that one solution is right and the others are wrong. We must stop our either-or thinking. We must widen our view to pay attention both to the starfish and to the ocean! The truth is, we need to compassionately help people who are struggling AND we need to change the toxic environment that is causing and contributing to their struggle. That is,we need to throw as many starfish back into the ocean today AND we need to examine the ocean to find a way to stop the starfish from washing ashore tomorrow. Read or listen to Mission: What if We are Just Fixing Fish? Help bring life to our sanctuary for Easter with Easter lilies. The cost of each lily is $7.00. Please email or contact the church office if you would like to place a lily in honor or memory of someone. Sunday, March 18th, 11:00 am – Worship – Mission: What if there’s more?